​I guess Ghana decided that it needed to give me a parting gift because I felt HORRIBLE all day yesterday. I woke up at 5AM and my stomach felt like a washing machine. I was hoping that as the day went on and things got out of my system I would start to feel better, but no such luck. I had such big plans for the day, and instead I spent 80% of the day laying in my bed and the other 20% running to the bathroom. Wonderful. I think it was just something I ate though because I didn’t have a fever or anything, and by the time I woke up this morning, my stomach felt mostly okay again. Avy was totally not helpful and kept saying, “hmm maybe you have malaria. That’s kind of what it felt like. Ooo or you could have worms!” Yeah, or I could just have an upset stomach. Thanks for the encouragement, Avy. That night, there was a big party at one of the bars in town to celebrate James’s last night. They rented these massive speakers (they were maybe 10’ tall x 6’ wide), and we could hear them playing music all the way from our house which is at least a 10 minute walk away. At one point, some people from the neighboring town came too, and I’m positive that it was because they could hear the music. I guess there’s no way for anyone to call in a noise complaint… if there was a way, it absolutely would have been done. I was just upset because everyone was dancing, and I really couldn’t dance because of my stomach situation. The ultimate sadness. I probably shouldn’t have gone at all, but I wanted to be there for James and hang out with everyone. When my alarm went off this morning for the farm, I felt about 85% better which was enough to get me out of bed. If this was any week besides my last week, I probably would have skipped the farm. That’s irrelevant though because it is my last week, and that meant I had to go. We did more machete work… it seems like that’s the new shucking in that we do it all the time and never seem to get any closer to being finished. Fine with me though because it’s the most fun. The only disappointment was that we did short weeds again today, so it wasn’t nearly as satisfying as Friday. James told everyone at breakfast that he would still be around when we all got back from school to eat lunch, but I didn’t believe him for a second. Last time he was here, he said that he didn’t tell anyone when he was leaving because he didn’t want to have to say goodbye. If that’s how he felt last time, was there any chance that he wasn’t going to do the exact same thing again? No way. But we all went off to school anyway and figured we’d know soon enough if he was telling the truth. The little piggies. There are only five remaining now, but these all look healthy so we’re optimistic. I spent about 2 hours working on the computer until it was in decent shape around lunchtime. Luckily, most of the issues were software related rather than hardware related, and though I don’t know too much about either, I’m way more comfortable trying to solve software problems. When I started working, the computer couldn’t even get past the startup screen. By the time I finished, it was completely functional but with some annoying notifications and things to deal with during startup. I’ll deal with those tomorrow. I also think that I need to replace the battery inside. It’s just one of those little 3V puck batteries, but I couldn’t even begin to tell you where I would buy one of those (besides probably Accra but we don’t have time for that). Hmm… I’ll have to do some research. Anyway, moral of the story is that it’s easy to be IT support in a town where barely anyone has a computer and you have access to google. When we got back to the house for lunch, shocker, James was gone. He said, “it’s easier this way.” Well yeah, for him it’s much easier. For everyone else who thinks they’re going to have a chance to say goodbye and then doesn’t, it’s really crappy. I would be a lot more upset if I wasn’t going to see him again in 2 weeks. Oh yeah, I don’t think I’ve mentioned this… I planned on going to London for a week after Ghana, and now I’m going to visit James in York for a couple of days too. And Sosane is going to come to London to spend a day with me! So much to look forward to even after I leave! Since this is James’s last weekend, the activity of the day was up to him. He decided that he wanted to go to the hotel in Atimpoku (the same one we went to for Nico’s birthday, months and months ago) and swim. We all slept in and took our sweet time getting ready to go, so we didn’t leave home until around 11AM and got there a little after 11:30. The next few hours were spent hanging out by the river, playing Taboo, listening to music, and just spending time together. These are some of my favorite times. The community that we have here is great, and it’s going to be weird when I’m not living with so many people anymore. It’s actually starting to sink in that James is leaving in two days, which in turn is making it start to sink in that I’m leaving in a little more than a week. Like what? The good news is that I’m feeling at peace about it. If you had asked me three weeks ago, I would have told you that I was freaking out that I only had a month left. I even had a nightmare about it, no joke. In a nutshell, I was home and I didn’t remember how I got there or anything about my last month in Ghana. I was happy to see my family until I realized that the dream wasn’t right, so I was yelling, “this isn’t right! I’m not supposed to be here yet!” Yeah, it was dramatic. Now though, I’m feeling okay. I am still so happy to be here, but I feel content with what I’ve done and not like I have a lot of unfinished business. It’s a good feeling to have because now I can just enjoy my last week and not feel like I have to fit all of this stuff in before I can be ready. On that topic though, I have a list of all of the stuff I want to fit in before I leave. Yes, I know that sounds like I just contradicted myself, and maybe I did, but just bear with me. The things on my list are mostly activities that I have wanted to do for a while now and never got around to. I’m determined to do all of them in the next week. Today, I crossed my first thing off the list! 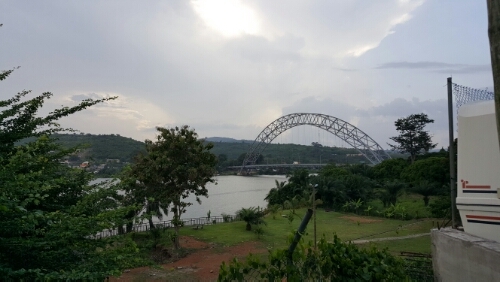 There’s a bridge that goes across the Volta River in Atimpoku, Adomi Bridge. The views off the two sides are awesome, and I’ve been wanting to walk across for months now. Often, we’re just driving through Atimpoku. Obviously we aren’t going to get off a tro just to walk across the bridge, so today was perfect! Instead of catching a tro on the west side of the river, we walked across and got a cab on the east side. 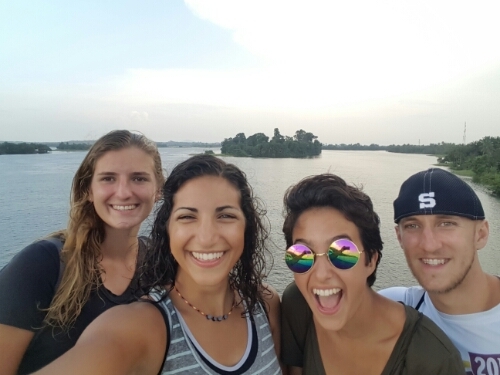 Check that item off the Ghana bucket list! These plants are so cool! I know they’re not just a Ghana thing, but I’ve never seen them before. When you touch the leaves, they close up for about a minute and then reopen. It’s like you’re a magician! Here’s a before picture, and the next one is after I touched them. This was the best machete day! My current favorite farm task is machete-ing weeds, and today John took us to work in a field that had some really tall weeds! We usually just do short grass. This was so much better! It was as satisfying as chopping down corn stalks. You smack them really hard with your machete and then just watch them fall. It was definitely much harder than clearing the short stuff, but it was also a million times cooler. Worth it. Nick, Avy, Anna, and I went to Baptist after breakfast and were met by a stream of kids with pans and buckets of rocks on their heads. Typical. There were some big piles of stones in the schoolyard, and the kids were helping to move them to someone’s house in the village who was probably going to use them for some construction work. I didn’t get the whole story, but it’s not really important. Even after being here for almost 3 months and seeing things like this happen all the time, I’m still impressed by the kids and what they’re capable of. They’re always carrying heavy things on their heads or going to get you a chair to sit on or offering to carry your bag or running errands for the school or chopping something with a machete. It’s really an awesome part of the culture here. Kids are taught to help from such a young age. After the rocks were finally finished being moved, class started. I was planning to help Everlasting in P2, but Nick was teaching P4 because their teacher was out sick. I thought I would be more helpful if I went with him, so the two of us worked on teaching P4 math. They’re supposed to be learning about some more advanced things with operations, but after looking at the homework, we realized that they’re don’t even understand the basics. Due to that, we just taught them some foundational stuff about operations (for example, in addition, the order of the terms doesn’t matter, but in subtraction, it does). By the end, it seemed like they were getting it, but it’s hard to measure that without grading an exercise or a homework. Just before lunch, I joined Everlasting and Anna in P2 for creative arts class. This week’s topic – music! They were supposed to be learning about making their own instruments. Anna made some shakers last night using beans, jars, and toilet paper rolls, but we don’t have nearly enough resources for their whole class to be able to make one. Instead, we brought what we had, split the class into groups, and gave the shakers to one group at a time. The rest of the groups got a beat to make, and we did a couple rounds of making “music” with each group doing their beat. If I’m being honest, they all sounded horrible (probably because Anna and I didn’t plan beats ahead of time, so they didn’t mesh well together), but the kids had a great time so who cares? John sharpening a machete. He wets the blade, throws a little dirt on it, and moves the machete back and forth on the rock. By the time I get home, I’m going to be a machete queen. It’s too bad that this training only started in the last couple of weeks because I think it’s going to be a very useful skill. Would it be weird if I brought a machete home with me? No, seriously… I’m strongly considering getting one, but what on earth would I do with it? Without it, I think I’ll feel lost. It’s like when I went to China and came back and wanted to use chopsticks all the time. Now I think I’m going to find a lot of opportunities to machete things. For example: hmm okay I’m having trouble coming up with an actual example, especially if I end up living in a city again. 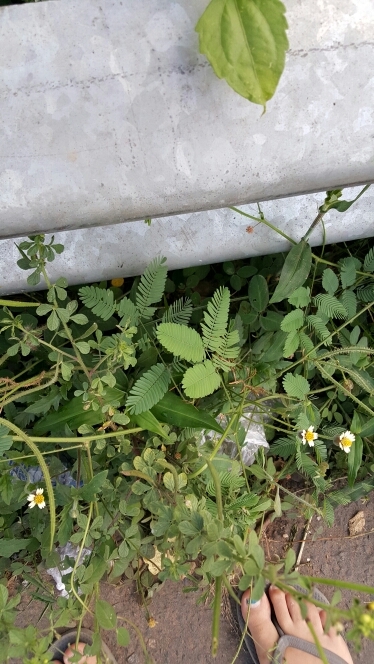 On a hike if plants are overgrown? In case I get into a fight with a bear? Chopping firewood (but only from very thin trees because otherwise it will take me way too long)? To scratch my back? If I had a fireplace, I would hang it on the wall above like a sword. Sorry, I’m getting sidetracked. Let me know if you have any ideas. I need to justify buying one. Anyway, in case you didn’t guess, we spent the morning machete-ing more weeds. I haven’t gotten sick of it yet. Doesn’t it look like I know what I’m doing? After breakfast, I headed to Baptist and bumped into Everlasting and the headmaster on the way there. They had to go to a kid’s house, and Everlasting said that his students were doing some reading practice on their own. 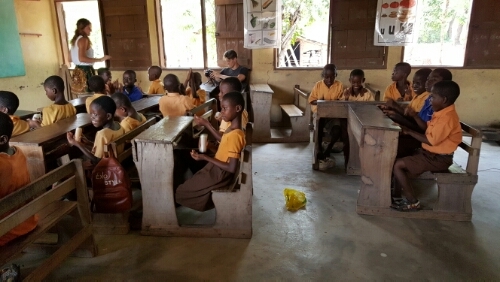 When I got to the classroom, there were some kids sitting, some kids standing at the back of the room, and two kids at the front. The girl at the front was reading a list of words, pointing at each one with a piece of broken desk, and the boy was yelling at her anytime she got one wrong. The class was actually under control, so I took a seat in the back and let them keep going. I’m pretty sure that the boy was left in charge, the kids sitting had already read the list correctly, and the kids standing hadn’t. It only took about 20 minutes for things to start falling apart, so I took control (that makes it sound a lot more impressive than it was… I just made them all sit down) and wrote some math problems on the board for them to work on. I was impressed with how well-behaved they were once they had some work to do! It made my job very easy. 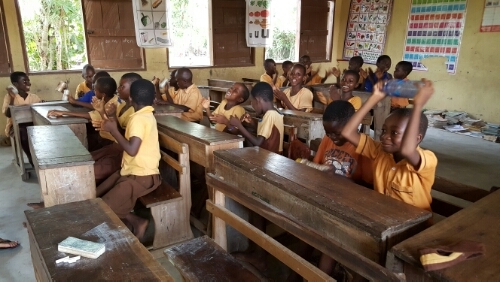 ICT class in the classroom. Everlasting has a keyboard that’s not connected to anything to show the kids where the keys are. Everlasting got back after the first break, and I got to observe him teaching an ICT class (their computer/technology class). The interesting thing about ICT is that the school only has one working computer, so often, the teachers don’t even bother going to the “computer lab”. Today’s lesson was about the spacebar and backspace keys. I must say, I was impressed by his computer-less explanation. To give you an example, for the spacebar, he explained the concept, had a couple kids come up and write sentences, and explained that those kids have spacebars in their minds so they put spaces between the words. He said that he doesn’t have a spacebar in his head and showed what those sentences would look like without spaces. 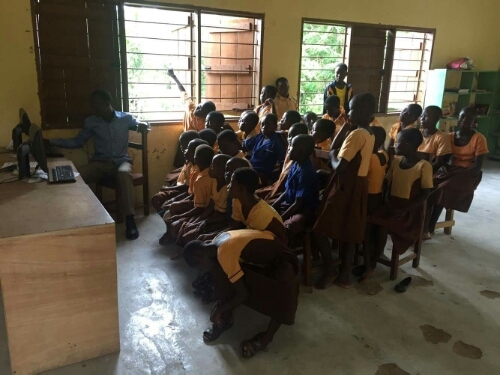 It’s funny because the schools always say that it would be great if we helped with ICT class since we all know a decent amount about computers, but there’s no way I would be able to teach that class better than he did without having any resources. Isn’t this crazy?? A class of 32 kids trying to look at one screen. The school has two computers, but only one works. We’re talking about trying to donate a projector to each school. 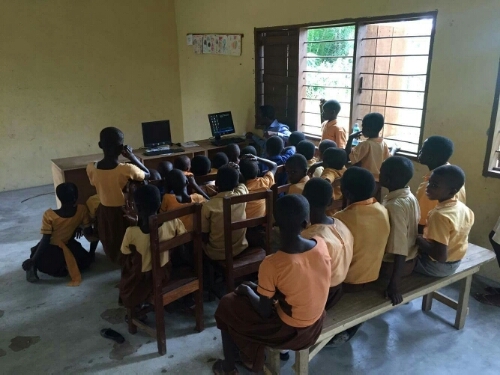 That way, even though each kid won’t get a chance to actually use the computers, at least they’ll all be able to see the screen. Then, I don’t even know how this came up, but during break, he gave me this long speech about how all of the people in the town are always keeping a close eye on the volunteers and how they’re behaving. 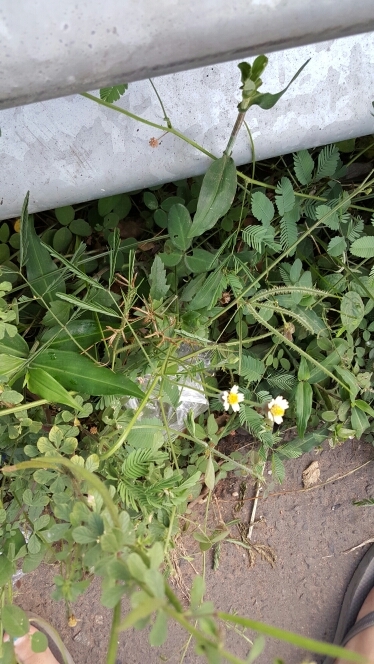 He said that sometimes, the volunteers act in a way that the townspeople find appalling, such as drinking or smoking in front of the kids or dressing inappropriately. He said that people have an idea in their minds that “yevus” are completely different from them, and when we come to town and they see us trying to fit in, it helps to change their perception. People love it when we try to learn the language and carry things on our heads and go to work on the farm because those are all things that they do, and it makes us relatable. He said that people notice when the volunteers are making an effort to be a part of the community and that he’s heard people saying nice things about Avy and me specifically (probably just because we’ve been here the longest). I was happy to hear someone affirm my attempts to fit into the community. That’s been one of my goals since the beginning of my time here. I want people (including me) to feel like I belong. Until he said all of this to me, one thing I didn’t realize was how much people pay attention to what we’re doing. I think that’s an important thing to remember any time when you’re clearly an outsider. People are watching to see how you behave, and from that, they form judgements about a group much bigger than just you. No pressure, but you represent a lot of people! It was interesting to hear all of these things from his perspective, and it definitely gave me some things to consider. I have a feeling that the understanding he’s led me to will continue to help me throughout my journey this year (and beyond). Remember that time when I said I’d never have to stand calf-deep in pig poop again? Yeah, me too. At the time, I truly believed I was telling the truth. I really wish I had been telling the truth… but alas, today I once again found myself standing in deep you-know-what. First though, it started out as a normal day at the farm. Anna, Nick, and I went today (Yara couldn’t get up) and kept working on hoeing around the corn. Woohoo. We finished the field today, so hopefully they don’t find another weed-filled corn field and this can be the last time I ever have to do that. There was one highlight of the morning though, and I think it means I can cross something off my my list of Ghana goals. On our way to and from the farm in the mornings, we have to walk through a bunch of neighborhoods, and people are always calling out “good morning” and “how are you?”, sometimes in English and sometimes in Ewe. At this point, I think I’m doing pretty well with Ewe. I can answer all of the basic questions and have a couple of tricks up my sleeve to really impress people (which isn’t hard because they’re usually expecting nothing from us). This morning, we walked past a woman, I said “good morning” in Ewe, she responded and asked “how are you?”, and I answered. When I turned to keep walking, I saw a little girl staring at me in awe. She said, “the yevu speaks Ewe” (reminder that “yevu” means white person), with probably the same astonishment in her voice that you would expect from someone discovering that their pet dog could speak English. I thought it was hilarious, and I’m going to say that counts as me “having a basic conversation in Ewe”, which was one of my goals for my time here. The cave-in, after I dug most of the dirt out. Anyway, back to everyone’s favorite topic: the poop hole (aka the pig poop hole that will theoretically lead to natural fertilizer for the farm). I was so determined to finish today that I stayed in the morning after everyone else went home, in the hopes that I would be able to stay until the job was done. I was making great progress, and then, tragedy struck. The last wall that I was filling in behind came un-secured and started caving into the hole. NOOOO! I’ll be honest, I was beyond caring and planned to just leave us with a hole about 20% smaller than planned. Unluckily (for me, but luckily for the hole), Joe and John came by to check out my progress almost right after the cave in. Joe said, “oh the wall is falling down. You’ll have to dig all of that dirt out to stand it back up.” Ugh. I guess that settled it. I dug out most of the dirt, and by the time I stopped, it was about 9AM and I was drenched in sweat. It gets VERY hot VERY fast after 7AM, and I went through about 3 liters of water in two hours. I decided it was time to go home once I ran out. Plus, I couldn’t finish right then anyway because I needed a hammer to fix the wall. And they were still in the process of putting the day’s poop into the hole. The only thing worse than standing in a pile of poop is having someone adding poop to the pile while you’re in it. Hm… I have just now decided that “adding poop to the pile” is going to be the new “adding fuel to the fire”. I think it gets the point across much better than the original. Have you ever seen anything more magnificent? That’s one good looking poop hole. I spent the rest of the morning physically recovering and mentally preparing for my trip down the poop hole. Too soon, it was time for me to head back to the farm, saw and hammer in hand. Step 1 was finishing digging out the dirt behind the wall that would prevent me from pushing it back into place. Step 2 was cutting pieces of wood to be hammered into the ground and hold the wall up from inside the hole. Step 3 was getting into the hole, smacking the wall back into place, and hammering the new wood into the ground. This was obviously the most horrible part, and it was worse than last time because the poop was deeper. When I put my foot down, I had NO clue when I would hit solid ground. I was just praying that it would be sometime before the poop completely overtook my boot. Panic panic panic panic andddd sigh of relief. An inch to spare. With my feet held securely in place, I did what I needed to do and got the heck out of there. Step 4 was re-nailing the edge of the wall to the column. I put in about 6 nails rather than the 1 we had before, just for good measure. And then I added more on the other side too. That wall isn’t going anywhere. And if it does, I promise you that I won’t be the one getting into the hole to fix it. Step 5 was filling back in behind the wall (and hoping it didn’t collapse again). Step 6 was mounding the dirt up next to the wall so that any water will drain away from the hole. Finally, step 7 was finishing the gutter. Are you exhausted just reading about it? I’m re-exhausted just writing about it. Looking back on the whole poop hole process, there are probably close to 100 things we could have planned or designed or implemented better. If anyone is considering building one of their own, please get in touch and I’ll give you some suggestions. The sky on the way home was pretty cool, and you can see my eight favorite palm trees. It’s time to celebrate though… here are the words you thought you would never read: the poop hole is finished. The poop hole is FINISHED. THE POOP HOLE IS FINISHED!!!! I’m sure at this point you’re thinking, “thank goodness, if I had to hear about that stupid hole one more time, I would stop reading for good.” (Did you ever think you would read the word “poop” this many times in your life? I’m guessing no.) Well, good news for both of us. From this moment on, I will never mention the poop hole again (but realistically, this a soft “never”, similar to my previous “never standing in poop again” never). The day ended on another high note. On my walk home, I walked past a field where there were hundreds of fireflies! We’ve gone looking for fireflies before, but there usually aren’t more than a few. This time was unreal. I’ve never seen anything like it. Watching the field was like seeing a Christmas light show. It’s probably one of the coolest things I’ve ever seen. And just think… if I didn’t happen to be walking home from the farm at that hour, I never would have seen them. I guess some good did come out of the thing-that-must-not-be-named. The plants we sowed during my second week are actually growing corn now!! Goodbye, long weekend. Hello, 5AM wake up for physical labor. These early mornings really don’t get any easier. If anything, they’re getting worse. When Amber and Nico were here, we left the house pretty close to 5:30 each morning. Now, it’s more like 5:45… or so. Ugh it’s just horrible waking up, especially when no one else in my room is getting up (which is just Avy now… Amber used to sleep above me and her bed has become my organizational shelf since she left). Even worse today was that we had a morning of hoeing around corn again. I definitely don’t mind it mentally like I used to, but my back hates it. We also had the fun challenge of hoeing around the pumpkin and courgette (which I just googled and apparently it’s zucchini… Nico and Amber didn’t know how to translate it into English and I guess I never thought of just looking it up. Yeah I’m going to keep calling it courgette in honor of him.) plants which was hard because they’re huge vines spread all over the ground. The chance of chopping the weeds and not the plants we want is slim, so I mostly left the weeds close to the vine (yes, I realize that kind of defeats the purpose of getting rid of weeds so they don’t steal the nutrients from the good plants, but there’s too much ground to cover and too many plants to get into that level of detail). The piglets are MUCH cuter than they were on Thursday. These last four days have been good to them. Unfortunately, we’re down to 7 from 10. Hopefully the remaining ones all make it! Life is hard as a newborn piglet. Besides all of the normal struggles that come with just trying to get their bearings in the world, they have other things to worry about… the mother sat on one of them on Thursday. It survived in the short term, but I think that’s probably one of the ones we lost ☹ . Fingers crossed for only good news from the little piggies from here on out. Before… Only the left side was finished, the front was halfway, and others weren’t even started. After.. I filled in the front and the right side and worked on the gutter a bit. In other news, I am finally determined to finish the poop hole (a hole for them to put the pig poop/other organic matter in and eventually use for fertilizer). Previously, I was determined to procrastinate on the poop hole for as long as possible. I think now I’m just sick of it (even more than before), and I don’t want to have to worry about working on it during my last week (which is next week… AHHHH!). I went back in the afternoon and put in a solid two and a half hours of work until it started getting dark. Three out of four sides are finished! I anticipate one more day of work (and by that I mean, I am only working on it one more day and I’ll stay there for as long as I need to in order to finish). In celebration of my progress, I just had some post-dinner Fan Ice, hot chocolate, and bread. Yes, all at the same time. That’s pretty close to the ultimate Lara food dream, and here it’s probably as close as I’m going to get. I’m going to bed now because I (as you might guess) have a stomachache, and I’d much rather be asleep while my body hates me. Our hotel… More little huts! Another travel day! This one was actually longer than the one on Friday because we had to go from the lake to Kumasi before we could start moving in the direction of home. I’m getting ahead of myself though. Yesterday, we all took guesses on how long trip home would take, so I kept track of all of the times of the different parts of the trip. Most of the others insisted that it would take 8 hours (excluding a couple who abstained), but I put my money on 10 hours. Yes, technically it should take closer to 8, but when it comes to traveling here, how often do things actually work out the way you think they should? Answer: never. Once people started getting off the first tro, I was loving life. Plenty of space to stretch out! Plus I had a window seat. 6:30AM – My alarm went off, I grumbled my way out of bed, and we got ready/packed our stuff. 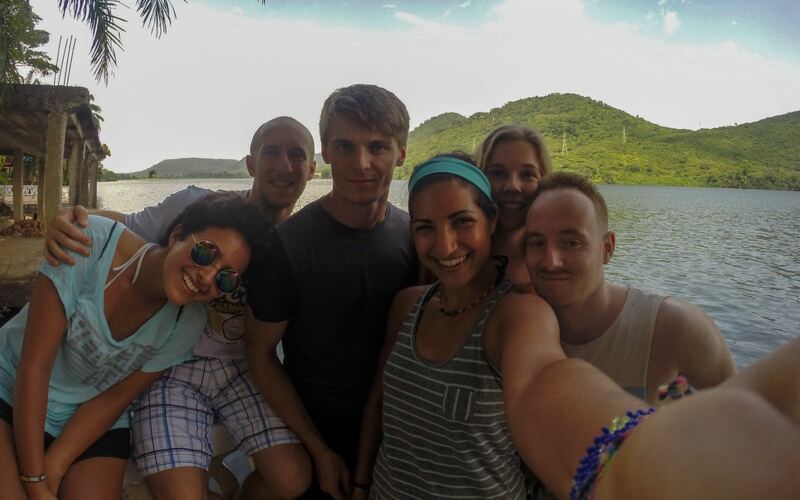 7:15AM – We all met at the reception desk and started the walk back to town. This time wasn’t as miserable because it was so early and the sun wasn’t too hot yet. 7:30AM – We arrived in town and tracked down a guy who knew a guy who drives a taxi. He called his friend to come get us. We bought crackers to eat for breakfast (nutritious, I know). 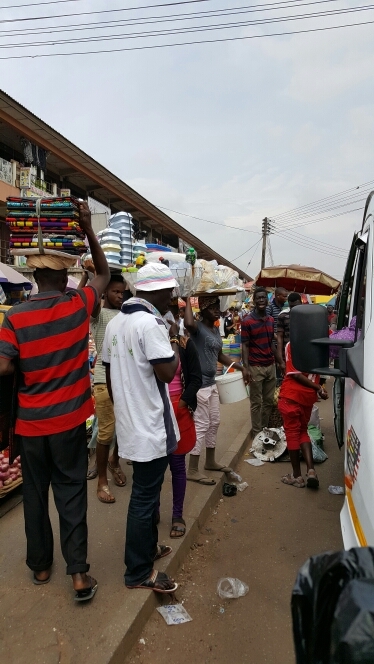 8:00AM – The taxi arrived, we fought with the driver over the price and lost, and we started making our way back to Kumasi in a taxi driven by a maniac. 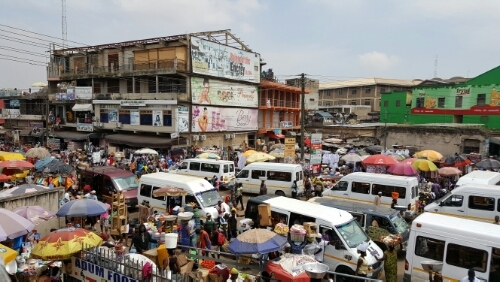 9:20AM – The taxi dropped us off in Kumasi, near Central Market. We asked around until someone pointed us in the direction of the tro we needed, and luckily it filled up soon after we got on (though not so soon that we didn’t have time to buy and eat some Fan Ice). 9:50AM – Our tro left Kumasi. Hooray! It was probably the most intense tro I’ve ever been on. It actually had a functional TV playing some weird movie that all of the guys got really into . 12:15PM – We found out that the mate (the guy who collects the money on the tro) lied to us, and the tro we were on wasn’t actually going to Kpong. We pulled over and he stuck us in another tro that he said was going there. 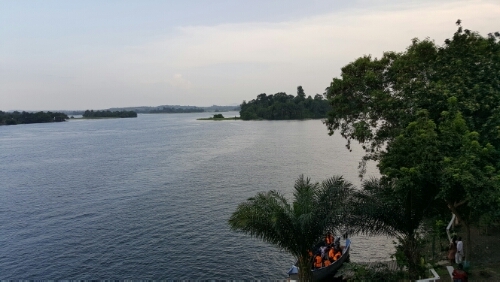 2:40PM – We found out that the first mate and the second mate both lied to us, and this tro was only going to Kofridua (about 45 minutes from Kpong). They stuck us in another tro. 4:10PM – Tro #3 finally arrived in Kpong. We got off and transferred to one that would take us the rest of the way to Frankadua. 4:18PM – Tro #4 left Kpong. 5:10PM – We arrived in Frankadua, almost exactly 10 hours after leaving the lake. A panoramic picture from the “middle” of the lake as I stood in our canoe and prayed that I wouldn’t fall in or tip us. The plan this morning was to get a nice “early” start at 8:45AM, but obviously that fell through and we all met for breakfast at around 9:30. The three options we had for activities were hiking, biking, and canoeing. Most of the group vetoed hiking, said maybe to canoeing (but it required walking the half hour back to the town we came from yesterday), and said yes to biking. After looking into the bike situation, we had to reevaluate. The hotel down the road had three bikes, and the neighboring town had two. With the addition of Josie and Peter to our group, we were seven. A call to someone in the town changed the plans even more because apparently those two bikes weren’t available. That left us with three bikes and seven people. The only solution was to split up, since probably nothing besides hiking would be able to accommodate all of us. Anna, Yara, and James took the bikes, and Nick and I headed to the town with Peter and Josie to hunt down some canoes. I thought that the walk from our hotel wouldn’t be as bad as yesterday without our bags, but I was wrong. It was just as far as I remembered, there’s nearly no shade along the route, and by the time we left, the sun was high in the sky. Within a minute of leaving, I was already sweating. Typical. Eventually, we made it to the town and found a guy who knew a guy who had two canoes, but he thought the guy took his canoes to the top of one of the mountains because they belong to someone who lives in the US and that’s where the person wanted them. Or something. I don’t know, I really didn’t understand what he was saying, but he led us to the guy, the guy said, “I’ll go get them,” and 20 minutes later we had two canoes. Whatever works, I guess. Nick and I took one, Josie and Peter took the other, and we rowed out to the middle of the lake (by “middle” I mean definitely not the middle because that’s pretty far… more like we rowed for 20 minutes and then stopped). There’s not much to do in the middle of a lake besides swim, so even though I wasn’t planning to, we all hopped out and splashed around in the water before hopping back in and floating around until it was time for us to return the boats. The water was kind of weird… it was mostly warm with a couple of really cold spots. I couldn’t stay in long because I started freaking myself out. We didn’t ask what kinds of creatures live in the lake, so I always manage to dream up some terrifying sea monster, start thinking it’s right under me, and have to get out of the water immediately. The view of the lake was amazing and being out there was so serene. Peter commented on how quiet it was out on the water and how it’s probably the first time he’s heard no noise since he’s been in Ghana. I think I’ve only experienced complete silence here when I go to the farm in the afternoons by myself. Otherwise, there’s always singing or music playing or town announcements or chickens and goats and frogs and pigs and crickets. Have I ever mentioned the town announcements? Oh yeah, those happen at around 5AM on Wednesdays and sometimes other days too. It’s really a wonderful way to wake up. Anyway, it was nice to enjoy a little silence for once. Nick and Peter playing soccer on the beach with some locals. I’m not the only one who ignores pain in order to fit in… Both of them came back with huge blisters on the bottoms of their feet because the sand was so hot but they didn’t want to stop playing because their feet couldn’t handle it. We stayed in the town for a late lunch which was accompanied by the sounds of a soccer game on the beach nearby, some music blasting next to the restaurant, and what sounded like band practice happening by the soccer game. Ah. Back to normal. We eventually made the long walk back to our hotel, hung out by the lake until dinnertime, and now I’m about ready to pass out. The market is even better when it’s in full swing! We went back this morning, and it was seriously so cool. Around the market, everyone is just walking in the street and making the drivers angry, and shops fill every available piece of sidewalk. There’s a pedestrian bridge that would be plenty wide to accommodate the people walking across except that people are selling things on both sides of the steps and on the bridge, and you’re left with maybe a 3-4’ wide path through the middle. I was constantly afraid that I was going to crash into people and knock whatever they were carrying off their heads. The sidewalks on the way to the market. Inside the market is the same except minus the cars and plus very narrow passageways. There isn’t even space for two people to walk past each other, which is inconvenient when you don’t know where you’re going and are trying to keep a group together and don’t have space to move out of everyone else’s way. We survived it though. Besides just looking at the general chaos around us, we did some shopping and all of us bought fabrics. This is one of my favorite things (I have a lot of favorite things)… When people are wearing clothes made from printed fabrics, they’re often custom made by a tailor. So instead of going clothes shopping for your fancy clothes, you go to the market, pick one of the million fabrics they have, and take your fabric to a tailor to order clothes that fit you exactly and look how you want them to look. To give you a sense of how much it costs, I got a pair of shorts made. The fabric cost 15 cedis and it cost another 15 for the tailor (which would probably be less if I was local or went to a different tailor). The conversion rate is about 4:1, so the shorts (that fit me perfectly) cost me about $8. Not bad! Anyway, after we finished shopping, we wandered around again until it was time to head back to the hotel to check out and attempt to locate a tro to the lake. We got directions to the correct station from the reception desk and set off on a quest to find it. All I can say is, thank goodness for google maps and functional internet. Once we got close, we asked the nearest guy if he knew where we could get a tro to the lake, he went and talked to a nearby tro driver, and he came back and told us to get in because the driver agreed to take us there. I think it was another one of those situations where the tro wasn’t planning to go so far, but since there were five of us, he said yeah sure. 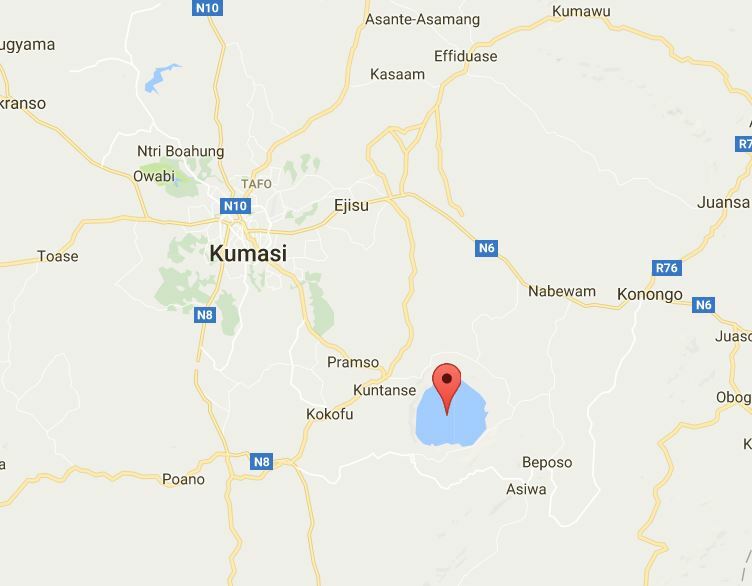 Here’s the lake’s location in relation to Kumasi. Look at how round it is since it’s a crater lake! 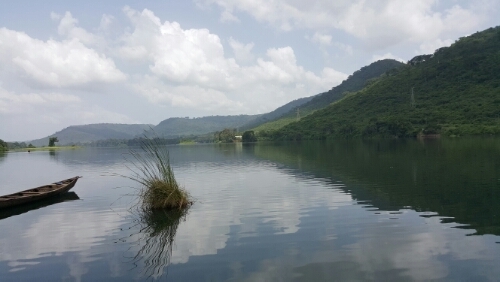 Lake Bosomtwe is a crater lake located southeast of Kumasi. The lake has a diameter of about 5 miles (and it’s pretty round since it’s a crater) and a maximum depth of 260 ft. It’s a weird lake because it’s fed by rainfall and doesn’t have any outlets, so the water level keeps rising. It has flooded and forced villages to move multiple times because of that. We arrived at the lake around probably 3PM, and after a half hour trek in the hot sun to our hotel, we were ready to swim. After getting settled, we headed to the lakeside (I would say “beach”, but really I don’t think it could be called that), and James, Nick, and Anna went for a swim while Yara and I sat and talked. Apparently the water was warm, so I didn’t feel much like I was missing out. I was just happy to be sitting and enjoying the view because the lake is absolutely beautiful. Maybe I’ll go in tomorrow. I’m telling you, we should really start carrying things on our heads. Once it started getting dark, we headed back to the hotel for dinner and card games. We made friends with a couple more Germans, Josie and Peter, who are volunteers in Cape Coast (I say “more Germans” because Anna and Yara are from Germany as well). The plans for tomorrow are still up in the air, but the seven of us are probably going to try to do something together. It should be fun! And hopefully also relaxing. In the tro on the way to the lake… Anna, James, Nick, me, and Yara. Out of all the trips we’ve taken thus far, the trek to Kumasi today was the longest. 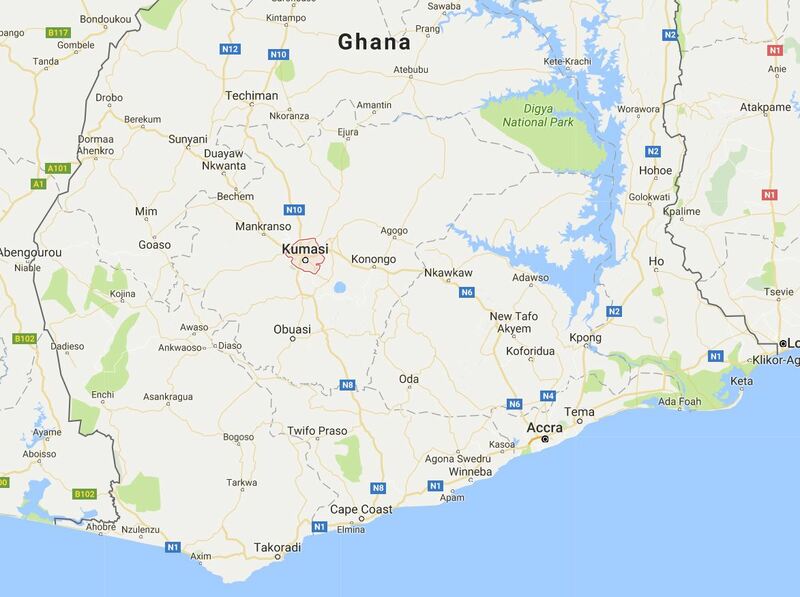 Kumasi is one of the largest cities in Ghana and is the only real city that we’ve been to besides Accra. 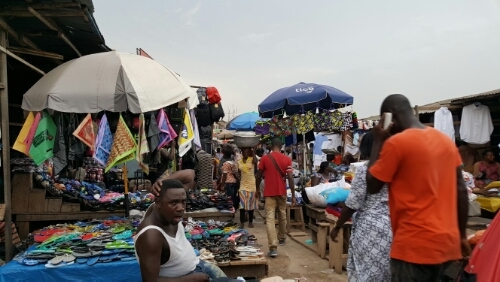 It also has a massive open-air market that’s the supposedly the biggest in west Africa, with over 45,000 stores. The traffic in the city is ridiculous, and in the main areas of the city, it’s incredibly hectic. It also didn’t seem to be terribly touristy. It is a tourist destination, but it wasn’t overrun with foreign tourists like so many of the other places we’ve visited on weekends. Obviously that’s helped by the fact that it’s a huge city, but still. Besides at our hotel, I haven’t seen a single other white person. The bumpiest dirt road in the universe. Our trip started with a 5AM wake up and 5:30AM departure from the house. We were trying to make it to Kpong to catch at 6:30AM tro to Kumasi, but by the time we got there, the 6:30 tro only had three seats left and we were five (James, Nick, Anna, Yara, and me). They put us on the next tro out, and we ended up having to wait two hours until it filled up before we could leave. These are the things that you can’t really anticipate, and it’s too bad because we could have eaten breakfast at home and had a much more relaxed morning had we known. Instead, we sat for two hours on a tro going nowhere and ate some nutritious donut balls for breakfast. Here’s Kumasi. 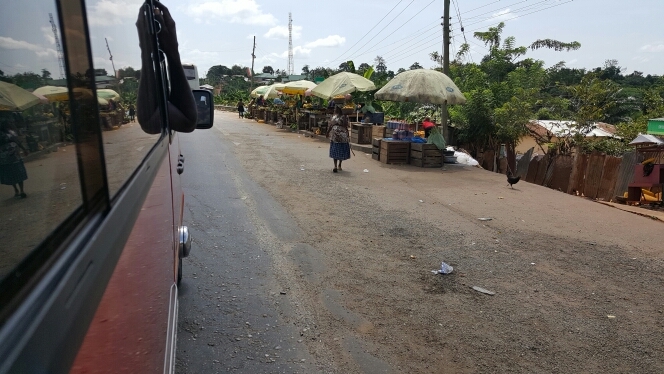 We had to go south first, to Kpong, and then took an endless and very bumpy road northwest to Kumasi. 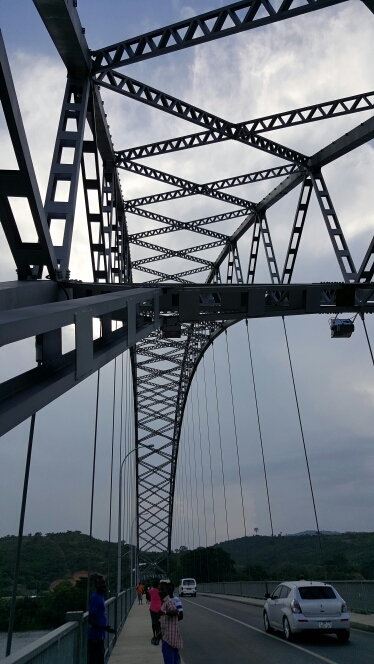 The view off one side of the pedestrian bridge. We FINALLY left the station at 8:30AM. That was exciting, but the drive to Kumasi is not short. We arrived at about 2:30PM after 8 hours on the tro (2 not moving and 6 in transit). The roads for the first 2-3 hours were HORRIBLE. We were weaving through a bunch of small villages, and the road was dirt and beyond bumpy. So much for sleeping on the ride! I slept a little, but every time we hit a bump, my head smashed into something and I woke up. Not the most restful sleep I’ve ever had, that’s for sure. As you might imagine, by the time we got off the tro, we were starving. We walked to the hotel, dropped off our stuff, changed clothes (because after 8 hours on a non-air conditioned tro, a clothing change is essential), and went to eat. I got a cheeseburger, and it was awesome. I think I probably could have eaten 10 cheeseburgers at that point, though. Random market shot. This is in the outer area that isn’t as congested as the main market area. Even though it was getting late, we decided to walk around the city a bit and go to the central market (called “Central Market” or “Kejetia Market”). People were starting to shut down their shops, but there was still enough activity to get a good sense of what it would be like in full swing. Once you get into the depths of the market, it’s like a labyrinth. There are rows and rows and rows of shops that all seem to be selling the same things. I honestly don’t understand 1. how any of the shops stay in business with so much identical competition nearby and 2. how anyone finds anything. I think there is some sort of large-scale organization of the market, but even so, it’s nothing beyond clothing and fabrics over here, pottery over there, food over there, etc. I’m glad that we got a chance to scope things out when the market wasn’t as crazy as I’m sure it gets during the day. 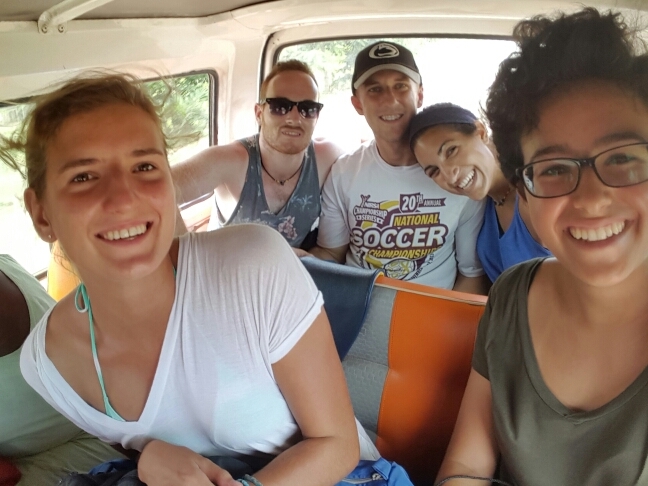 We’re planning to go back in the morning before we leave the city and head to Lake Bosomtwe, a crater lake to the east of the city, for the rest of the weekend.